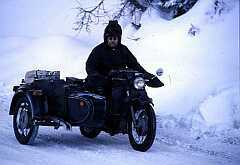 We would be pleased to welcome again a fine selection of winter motorcycling enthusiasts to our meeting. Due to lack of space, an invitation is mandatory! 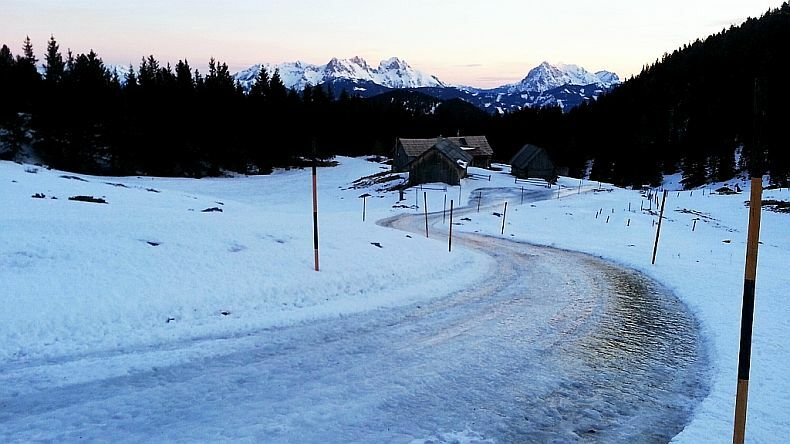 By end of January, drive to the middle of the Austrian province Styria. 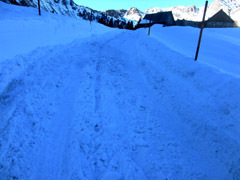 Then handle a mountain pass with a 16% maximum uphill grade, plus the following private toll road up to the inn - this is another 5 km mountain road, being a popular sledging track for local people. 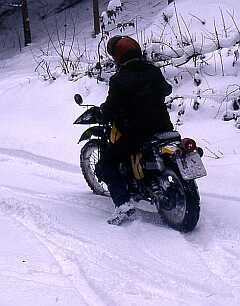 Depending on the weather the track may be icy, full of tyre tracks or some deep snow sections. 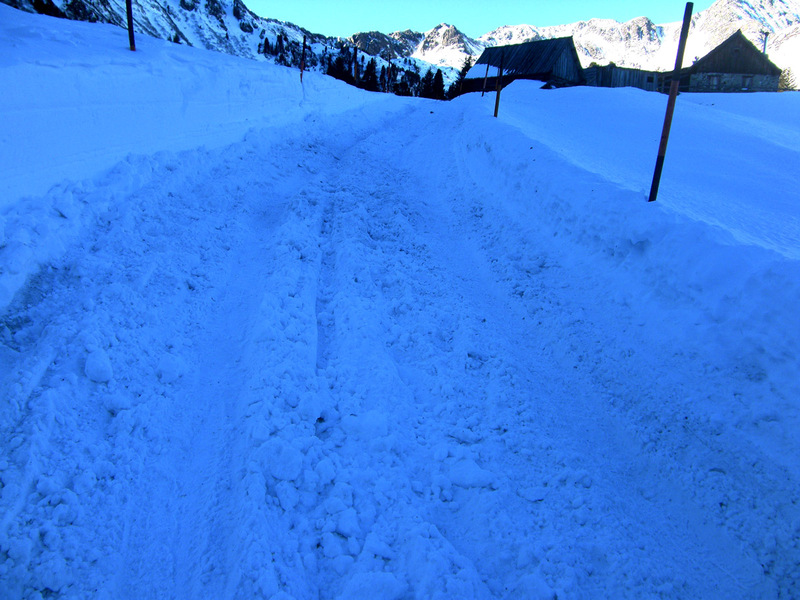 Please do not expect a perfectly prepared snow road - this only may be there on Thursday or maybe Friday. 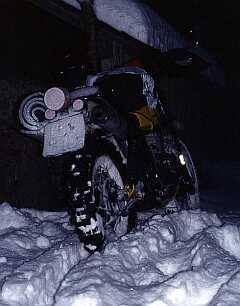 We had people riding home because they could not make it up the toll road - despite they had studs and winter tyres. 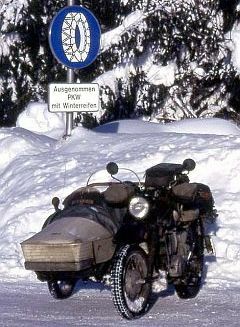 Others have burned their clutch - they had new Staudacher chains but not enough riding skills to get into first gear full speed. The toll road is long and steep, and not for first-timers - even if some people make it look very easy to ride up. 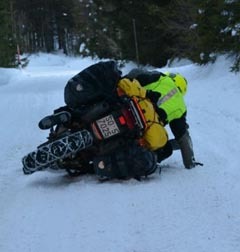 Without proper tried and tested winter equipment and some practise your long trip to the Steiermark may end in disaster. We even had people break their shoulder or ribs when falling over. 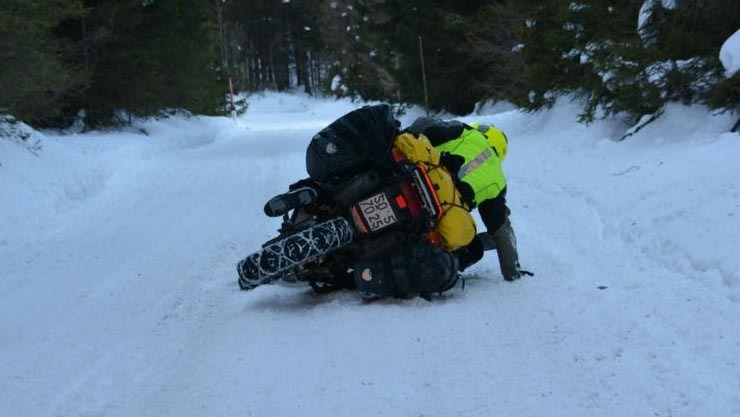 Improvised snow chains or traction aids are just that. They may keep up a few hundert meters, then slip around your tyres and damage something. Ropes do not grip on ice. We may be able to give you and your luggage a ride up, your vehicle will have to stay down there. 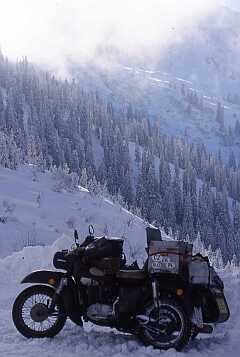 It is all about winter riding, talking motorbike stuff, and enjoying the great landscape around. There is no extra entertainment, music, fireworks or such. But there will be lots of breathtaking surroundings..
All participants are required to behave as guests (we are, really) in a civilized way. Our meeting place is right in the Austrian Central Alps region, close to the tree line. There is a fair chance of having snowy conditions. It is possible to camp, if you do choose not to sleep indoors. 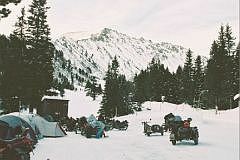 But due to the alpine setting this is only for experienced winter campers with the right equipment and spirit. There should be trips on Friday and Saturday. Details are provided on site. The Organization Team wants to have fun too. So we will take part in our own meeting, and try to reduce additional duties as much as possible. On top of the page, earlier Tauerntreffen rallyes are linked by their year. Reload the page (on a Windows Computer, press F5) if you can not see all years. The inn has only limited space. This is true for rooms, for meals, for camping etc. So we have to pick our participants wisely. In October we first invite last years participants and after getting their answers, by November the time of new requests has come.